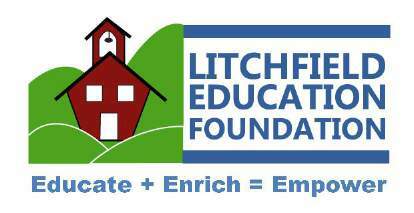 The Litchfield Education Foundation logo. Cramer & Anderson has signed on as a “Go for the Gold!” sponsor of the 3rd Annual Retro Dodgeball Tournament to benefit the Litchfield Education Foundation (LEF), scheduled for Saturday, March 23, at Litchfield High School. Team registration is open online for the tournament, which features co-ed teams of adults (18+) and is expected to attract more than 20 business sponsors, 300 spectators, and 200 dodgeball players. Check-in is at 1 p.m., the tournament runs from 2 to 5 p.m., and an after-party will be held at Litchfield Saltwater Grill. Trophies will be awarded to the “Last Team Standing” and for “Most Team Spirit/Best Team Costume,” though costumes are optional. Additionally, greater Litchfield businesses donate “lots of gnarly prizes” for the tournament’s raffle. “The dodgeball tournament is a wonderful community event that provides a fun afternoon out for families, while raising funds for a vital organization that enriches the lives of students. The firm is proud to be an event sponsor,” said Cramer & Anderson Partner Neal D. White, Jr., who was named Best Estate Planning Lawyer in the Waterbury Republican-American newspaper’s 2018 Reader’s Choice Awards. The Litchfield Education Foundation (LEF) is a nonprofit organization with a mission of supporting “innovative school and community initiatives which transcend the traditional classroom experience and serve to enrich, inspire, and empower Litchfield children of all ages.” Sustained by volunteers, LEF is a 501 (c) (3) that has provided funding for $200,000 in programs/resources not covered by traditional education budgets. Stay tuned to the Litchfield Education Foundation’s Facebook page for information on the upcoming tournament. In addition to Estate Planning, Probate & Trust Administration, Attorney White’s practice focuses on Elder Law, Residential & Commercial Real Estate, Business Law and Tax Law. 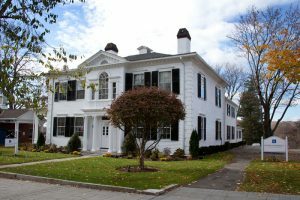 He is based in the firm’s Litchfield office, located in a historic building across from the Green. Cramer & Anderson also has offices in New Milford, Danbury, Kent, and Washington Depot, as well as a new office in Ridgefield. For more information, see the website at crameranderson.com, or call the Litchfield office at (860) 567-8718.